Need to install power AND low voltage boxes? Try Arlington’s non-metallic Combination Boxes. The LVD2 Power and Low Voltage Combo Box is the best way to install power and phone/cable outlets together, in one neat location for new construction. Minimum Sheetrock or Panel Thickness - 0.387"
Why settle for separate and uneven side-by-side boxes when you can have one neat installation? Just nail the LVD2 to a wood stud or screw onto metal studs via the side screw wings. The LVD2 ships ready to install with (2) nails in place to make installation fast and easy! 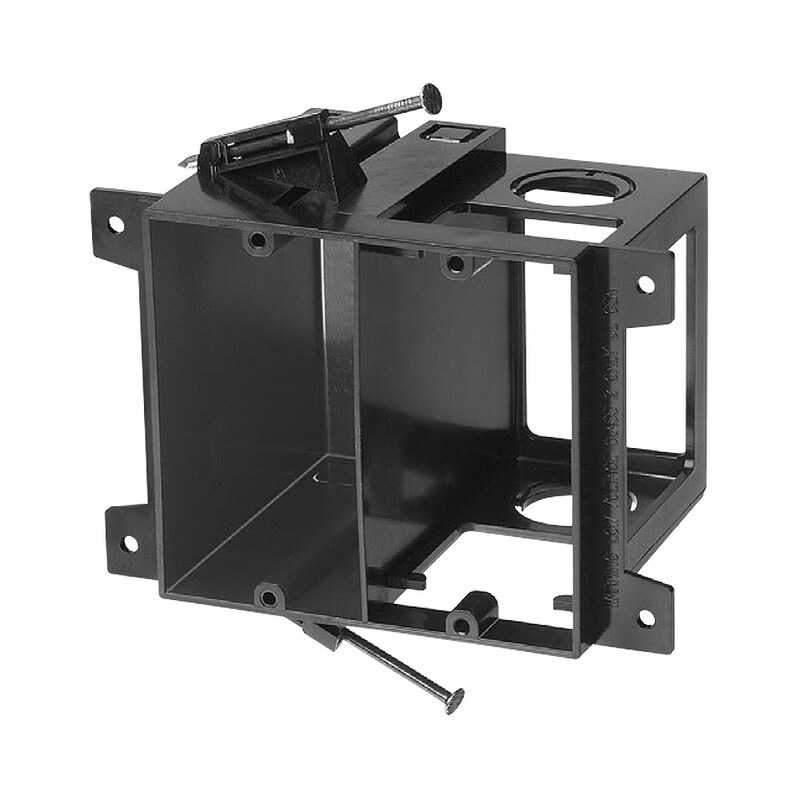 The low-voltage side of the LVD2, for low-voltage/Class 2 wiring includes combo 1/2" and 3/4” knockouts for easy access to cable raceways. The LVD2 protects a cable from damage – and it’s the sturdiest box of its kind. All the strength you need is contained in the lightweight, non-metal construction of the Power and Low Voltage Combo Box. What’s more, the LVD2 also protects low voltage cable from damage.